Meeting between Russian President Putin and President Rouhani in Tehran (Mehr, November 1, 2017). The far-reaching political transformations that have occurred in recent years in the Arab world created new opportunities for Iran to increase its regional clout. Iran exploited the weakness of the Sunni Arab states as well as the regional turmoil and instability to promote its over-arching strategy that strives for regional hegemony. Additional factors contributed to the expansion of Iran’s sphere of influence: Washington’s policy, which eschewed active involvement in the region; Saudi-Arabia’s forcible policies, which often played into Iran’s hands; and the nuclear agreement, which provided Iran with a greater degree of freedom of action from the Western powers led by the United States. In addition, the collapse of the Islamic State provided new opportunities for Iran to entrench its influence in Syria, Iraq and the Middle East as a whole. Iran, which has previously proven its ability to exploit every opportunity to improve its standing as a regional power, now wishes to utilize the vacuum created by the collapse of the Islamic State in Syria and Iraq to further its ambitions in the region. Iran aims to play a central role in shaping Syria, Iraq and the Middle East in general in the post-Islamic State era. As a country with a Persian majority, Iran is perceived, even by its allies, as a foreign actor that often acts in a condescending manner toward its Arab neighbors. The Shi’ite Iran struggles to achieve regional hegemony in a sphere that is mostly Sunni Muslim. In addition, Iran’s efforts to increase its regional clout are often met with difficulties even among the Shi’ite communities of the region, which are loyal first and foremost to their Arab identity. The use of local proxies helps Iran to conceal its direct involvement in the region, but such a strategy of relying on proxies that have their own interests and are not wholly subservient to Iran’s dictates is also fraught with problems. The actions of the superpowers and other governments in the region, and especially those of Russia, the United States and Turkey, also undercut Iran’s ability to realize its aim of regional hegemony and frustrate its hope of forging Syria and Iraq as parts of its sphere of influence. In Syria, Russia has become the dominant player due to its military intervention in the civil war. Russia, at least currently, is not preventing Iran’s military entrenchment in Syria. 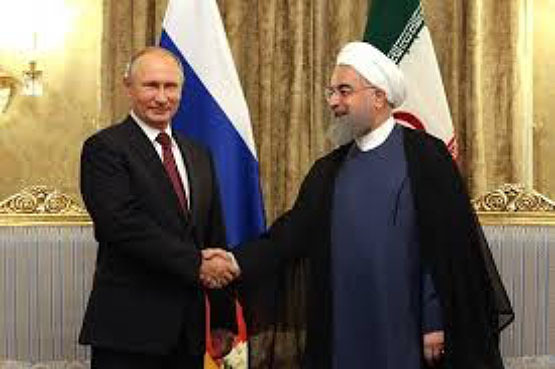 However, Iran has had to settle for a secondary role in the military and political developments in Syria, which is a fertile ground for potential tensions in the future relationship between Iran and Russia. 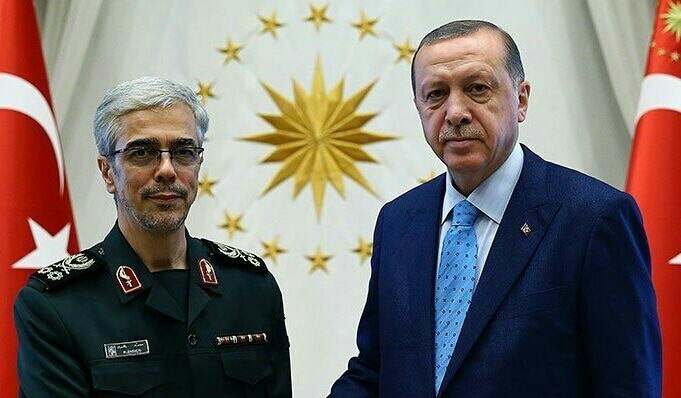 Another actor competing with Iran in Syria (and beyond) is Turkey, which wishes to play a central role in combatting ISIS and shaping the political settlement concerning Syria’s future. in Tehran (Mehr, November 1, 2017). Although these foundational limitations are not new, developments in the international, regional and internal Iranian arenas in recent months tighten the constraints under which Iran operates, and amplify the challenges Iran faces in its efforts to establish a regional sphere of influence. The progress of negotiations for a political settlement in Syria is accentuating the disagreements between Iran and Russia over the nature of the future political deal and the long-term Iranian military presence in Syria. Statements made by Russian officials have made it clear that Russia realizes that the long-term presence of Iran and its proxies in Syria may increase tensions with Israel and hinder the negotiations process due to the resistance of the Syrian opposition and Sunni militias to a permanent Iranian presence in their country. Moscow’s commitment to Assad’s reign in the long run is also in doubt. Commentaries published in Iranian media outlets reflect Iran’s unease about Russia’s intention in the phase following the defeat of Assad’s opponents. The commitment of President Assad to Iran appears limited. In recent months, several reports have been published that indicate that the Syrian president is not eager to grant Iran a permanent military foothold or to allow it to increase Iran’s role in his country’s economy, and he prefers Russia over Iran in his effort to regain control over Syria. Although Iranian officials are careful not to publicly express their disappointment at Assad’s conduct, who owes his survival to Iran, these Iranian sentiments can be gleaned in disapproving commentaries recently published by several Iranian media outlets. The intention of the United States’ administration to maintain an American military force in north-eastern Syria as part of the new strategy announced by President Trump vis-à-vis Iran is raising great concerns in Tehran. Although it is still unclear how the U.S. administration intends to implement its policies toward Iran, the maintenance of an American military presence in Syria is perceived as a significant threat to Iran’s national security. The Iranians perceive this policy at intended to stymie their efforts to cement their influence in Syria. The strikes attributed to Israel on Iranian convoys attempting to transfer weaponry to Hezbollah, as well as bombings of Iranian bases in Syria and Syrian military installations, demonstrated the limitations on Iran’s freedom to operate in Syria. The Turkish operation in Efrin, northern Syria (Operation “Olive Branch”) reflects Ankara’s intention to continue playing a central role in shaping the political and military reality in Syria, even if this entails ignoring Iranian interests. In Iraq too, Iran is facing challenges in an effort to entrench its influence, mainly due to the unyielding efforts by the Iraqi Prime Minister, Haider al-Abadi, to bolster the central government in Baghdad and rebuild Iraqi state institutions following the end of the campaign against the Islamic State. 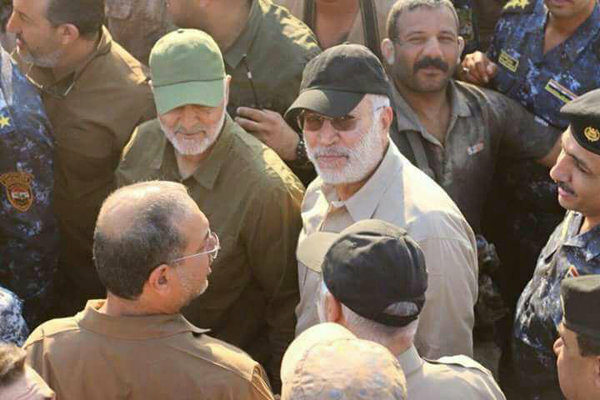 Over the past two years, al-Abadi adopted an independent line vis-à-vis Tehran and on several occasions expressed disapproval of its forceful meddling in the internal affairs of his country, and in particular the machinations of Qasem Soleimani, the commander of the Qods Force of the IRGC. General elections are set to be held in Iraq on May 2018. These elections will represent a significant political test for al-Abadi’s leadership. Although the outcome of the elections is unknown, it can be estimated at this stage that al-Abadi’s likelihood of forming the next government are quite high. The former Prime Minister, Nouri al-Maliki, who was previously considered to be Iran’s preferred candidate, will struggle to form a government, mainly due to his unpopularity among large swathes of the Iraqi public. Iran recognizes this reality and recently Qasem Soleimani worked to forge an agreement between the sitting prime minister and the Shi’ite militias supported by Iran to form a coalition for a joint electoral campaign. Soleimani’s efforts failed, and it is possible that this setback will further undermine his precarious position in the Iraqi political arena. If al-Abadi is able to form the next government and chooses to continue to pursue an independent stance toward Iran, he could find support for this apprehensive approach regarding Iran’s role in Iraq in his political partner, the cleric and Shi’ite politician, Muqtada al-Sadr. al-Sadr is considered to be one of the fiercest critics of Iran’s meddling in his country. The religious establishment led by the senior Shi’ite cleric, Ayatollah Ali Sistani, a well-known opponent of the Guardianship of the Islamic Jurist system implemented in Iran since the Islamic Revolution, is also apprehensive about Iran’s meddling in Iraq’s internal affairs. One of the major challenges faced by al-Abadi following the elections will be proceeding with the integration of the Shi’ite militias into the Iraqi Army. Iran still enjoys the support of some of the Shi’ite militias. The ability of central government in Baghdad to enforce its will on them and to coerce them to disarm is in doubt. However, the capacity of the militias to serve as agents of Iranian influence depends on the results of the elections and the interplay between the various forces in the Iraqi political arena in general and the Shi’ite forces in particular, which adopt different and even contradictory approaches toward Iran. While developments in the region pose new challenges for Iran, the internal debate in Iran about the necessity of investments beyond its borders is becoming increasingly acute. A manifestation of the growing public displeasure with the heavy financial toll Iran has paid for its military involvement in the region could be found in the wave of protests that swept across Iran in late December 2017 and early January 2018. Although this criticism holds only limited sway over decision-making processes in Tehran, senior Iranian officials are fully cognizant of it. This public opposition may further exacerbate the debate at the highest echelons of the Iranian regime, and in particular, between Supreme Leader Khamenei and President Rouhani, with regards to which national interests should be prioritized. The growing internal criticism in Iran stems in part from the ongoing economic crisis. Despite some improvement in Iran’s macro-economic situation due to the nuclear agreement and removal of international sanctions, Iran’s economy continues to suffer from significant structural failures and many of Iran’s citizens are yet to reap the benefits of the nuclear accord. Several factors contribute to the sense of economic uncertainty in Iran, including the question marks regarding the future of the nuclear accord and the re-imposition of economic sanctions following the threats made by President Trump that he will not allow their continued suspension. If President Trump decides to re-impose American sanctions against Iran, the economic situation in the country may deteriorate even further. Ultimately, Iran is unlikely to halt its efforts to increase its regional influence, a goal that is perceived by Tehran as essential for realizing its national security posture. As part of this policy, Iran will continue, in our assessment, to play a pivotal role in shaping regional reality in the post-Islamic State era, and in particular in Syria and Iraq. An indication of this intention could be found in the launch of the unmanned aerial vehicle into Israeli territory on February 10, 2018, an action that is part of Iran’s ongoing efforts to establish a military foothold in Syria. These efforts have not stopped despite the national, political and economic costs that Iran has paid for its regional involvement. In some cases, we can even point to an increase in Iran’s external support, for example to Hamas, whose relationship with Tehran improved significantly in 2017, following years of tensions due to the civil war in Syria and the position of the organization regarding Saudi-Arabia’s policies in Yemen. The challenges in realizing its regional goals may even accelerate Iran’s attempts to find new opportunities to increase its clout and position as a regional power, for example by increasing the use of “soft power,” through economic, cultural and religious activity. To summarize: Iran will continue to pursue its goal of entrenching its hold in Syria, Iraq and he Middle East as a whole. However, the international, regional and internal-Iranian developments in recent months, may, in our assessment, show that 2018 is bringing about not only opportunities but also significant challenges for Iran. These challenges pertain not only to Iran’s ability to continue and expand its regional influence, but also maintain the gains it has accrued in recent years in the long-run, largely due to the weakness of the Arab states and the instability characterizing the region. The far-reaching political changes that have occurred across the Arab world in recent years created new opportunities for Iran to expand its influence in the Middle East. With the start of the regional upheavals, Iranian leaders presented events in the Arab world as a manifestation of an Islamic awakening inspired by the Islamic Revolution in Iran, and the herald of a turning point destined to alter the region. Iran exploited the weakness of the Sunni Arab states, the regional turmoil and instability to further its overall strategy of striving for regional hegemony. Iran wished to entrench its influence in countries and territories of the region, while at the same time preventing the United States and the West from establishing themselves in Syria, Iraq and the region as a whole. The increase in Iran’s regional clout in recent years was due in part to the policy of the United States, which shied away from active involvement in the region, thus creating a vacuum that was soon filled by other regional and international players, chief among them Russia, Iran and Turkey. The policies of Saudi-Arabia also benefitted Iran: in recent years, Saudi-Arabia under Crown Prince Muhammad Bin Salman adopted an activist and aggressive foreign policy and a forceful approach toward Iran and its regional allies. An examination of the outcomes of Saudi’s policy shows that it not only failed to halt Iranian influence, but significantly increase it. The Saudi military campaign in Yemen has been highly costly and exposed the limitations of Saudi’s power, which has been unable to achieve a military victory. The political and economic embargo on Qatar has not been successful in forcing it to accede to Saudi’s demands. The temporary resignation of the Lebanese Prime Minister, Saad al-Hariri, also exposed Riyadh’s limited ability to curtail Iran and Hezbollah’s influence in Lebanon. The nuclear agreement, too, helped Iran’s quest for regional hegemony. The agreement itself did not significantly alter the ultimate goals of Iran’s regional strategy. However, due to the negotiations and the agreement signed in the summer of 2015, Iran enjoyed greater latitude from Western powers, led by the United States, who preferred to focus on efforts to reach an agreement on the nuclear issue over trying to block Iranian expansionism in the region. The defeat of the Islamic State created new opportunities for Iran to further deepen its influence in Syria, Iraq and the entire Middle East. Iran, which has proven its ability to exploit any opportunity to bolster its standing as a regional power, now wishes to exploit the vacuum created by the collapse of the Islamic State in Syria and Iraq to further its regional ambitions and play a central role in shaping the Middle East in the post-Islamic State era. Iran’s policies in the region are intended not only to implement its ideological worldview of “exporting the revolution,” but mainly to realize Iranian national interests, which the leadership perceives as vital. 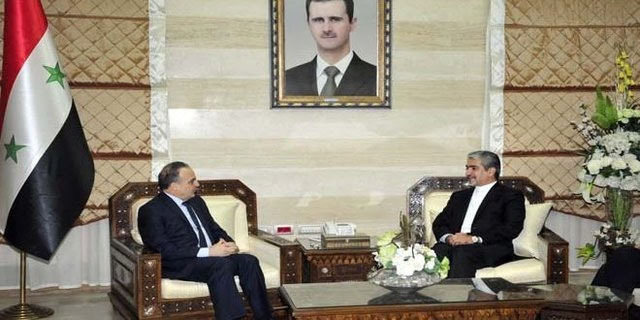 Iran’s support for the Assad regime is intended to preserve a strategic partner who also allows Tehran to continue assisting Hezbollah, which serves as a useful agent in Lebanon, promoting Iran’s interests there and serving as a deterrent against Israel. Iran’s involvement in Iraq was intended to prevent further progress by ISIS, whose takeover of large swaths of Iraqi territory placed a violent and hostile entity near Iran’s borders. The assistance to the Houthis in Yemen is perceived as a necessary tool to stymie the influence of Saudi Arabia, Iran’s major regional rival. The Shi’ite Iran struggles to achieve regional hegemony in a sphere that is mostly Sunni Muslim. In addition, Iran’s efforts to increase its regional clout are often met with difficulties even among the Shi’ite communities of the region, which consider themselves to be first and foremost Arab. The creation of an Iranian sphere of influence in western Iraq and eastern Syria and the establishment of a ground corridor from Iran toward the Mediterranean is particularly challenging to Iran. The government of Iraq (with American encouragement) may hinder the transfer of weaponry through this route. In addition, parts of the axis are controlled by forces opposed to Iran’s encroachment, such as the Kurdish militias supported by the United State or the Sunni communities residing in western and central Iraq. ISIS too, which is reverting to guerilla warfare and terrorist attacks, may carry out hit-and-run attacks against Iranian vehicles traversing the ground line of communication. The actions of the superpowers and other governments in the region, and especially those of Russia, the United States and Turkey, also undercut Iran’s ability to realize its aim of regional hegemony and frustrate its hope of forging Syria and Iraq as parts of its sphere of influence. In Syria, Russia has become the dominant player, due to its military intervention in the civil war. Russia, at least currently, is not preventing Iran’s military entrenchment in Syria. However, Iran has had to settle for a secondary role in the military and political developments in Syria, which is a fertile ground for potential tensions in the future relationship between Iran and Russia. Another actor competing with Iran in Syria (and beyond) is Turkey, which wishes to play a central role in combatting ISIS and shaping the political settlement concerning Syria’s future. The Russian intervention in the civil war in Syria allowed President Assad to survive. 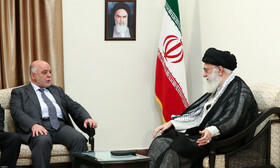 The preservation of the Syrian regime is critical for Tehran as it is a strategic partner for Iran in the Arab world. 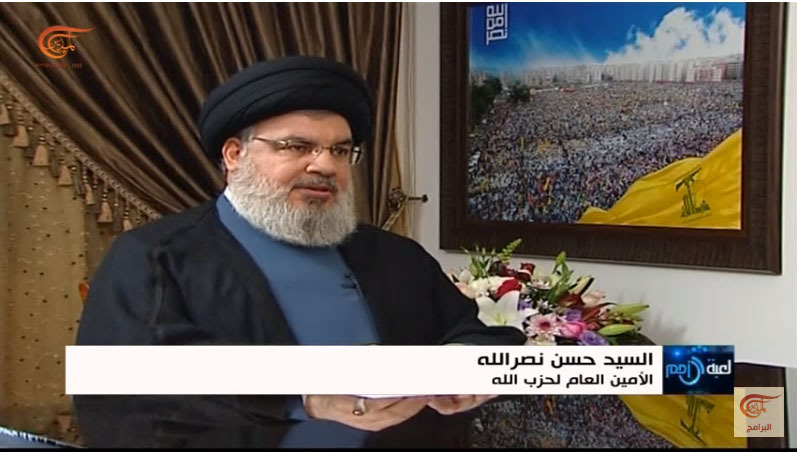 The downfall of the Assad regime may result in negative ramifications for Hezbollah, as a result of losing its logistic support base in Syria, which is crucial for transferring Iranian assistance to the organization. However, Russia’s transformation into the central power player in Syria and the negotiations process led by Russia, Turkey and Iran, are already posing a major challenge to Iran. Russia recognizes the necessity of the military presence of Iran and the Shi’ite militias operating under its patronage in Syria until the Assad regime secures a final victory in his campaign against his opponents. Despite this, statements by senior Russian officials indicate that Russia does not see a justification for a permanent Iranian military presence in Syria. Moscow also knows that Iran’s presence and that of its proxies in Syria may increase tensions with Israel, thus complicating the final settlement due to the resistance of the Syrian opposition and the Sunni militias to a permanent Iranian presence in their country. Moscow has made it clear on several occasions that Iranian forces in Syria will have to leave the country after a final victory is achieved in the military campaign. Thus, for example, the Russian Ambassador to Iran, Levan Dzhagaryan, stated in an interview to the Interfax news agency (February 5, 2018) that all foreign military forces, including Iranian forces, should leave Syria after the final defeat of the terrorists. He mentioned that the spokesman of the Iranian Ministry of Foreign Affairs declared recently that the Iranian “military advisers” will leave Syria, with the consent of the Syrian government, when their mission ends. The ambassador added that he is not aware of any Iranian intentions to establish a naval base in Syria. Iran is well-aware of the divergence of interests between Tehran and Moscow. Commentaries published in recent months in Iranian media reflect Iran’s unease about Russia’s intentions in the post-Islamic State era. Thus, for example, an article published on the website “Iranian Diplomacy” on November 25, 2017, argued that in the post-Islamic State era in the Middle East, a tacit agreement between Russia and the United States emerged, which created a balance between regional powers. According to the author of the article, the political commentator Sadegh Maleki, none of the global superpowers will allow a single regional power to control the Middle East. Despite the disagreements between Washington and Moscow, they will not permit changes to occur, which would lead to a disturbance in the strategic balance in the Middle East, although the two superpowers do not have total control over the countries of the region. 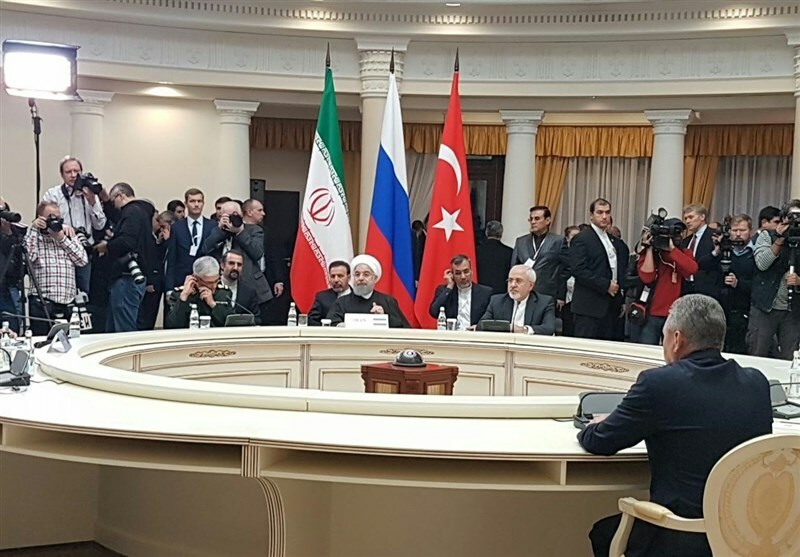 The author argued that this state of affairs manifests in the negotiations over the sale of strategic weapons systems between Russia and two of Iran’s regional rivals, Turkey and Saudi Arabia. According to him, Russia returned to the Middle East to realize its own goals and interests, especially vis-à-vis the United States. Another commentary, published on January 14, 2018 in the hardline daily Kayhan critiqued Russia’s political plan concerning Syria’s future. In the article, titled “Syria, it’s time to wake up,” the political commentator, Sa’dollah Zare’i, argued that the plan presented by Russia as part of the Astana talks is problematic and requires amendments before Iran, the Syrian government and Hezbollah can agree to it. Zare’i wrote that the plan includes three central components: amendment of the Syrian constitution, changing the political structure of the regime from a presidential one to a parliamentary-federal system, and the establishment of a transitional government comprised of the Syrian government and its opponents. The article argued that from Iran’s point of view, no country has the right to make decisions for another nation, and thus, the fact that Russia proposed its plan is problematic, and this plan can only be granted legitimacy if the Syrian government agrees to adopt it as a basis for negotiations about the future of the country. The article also argued that establishing a federal system in Syria is a dangerous idea, as it will lead to a bloody and prolonged civil war, fueled by some of Syria’s neighbors and foreign powers. These disagreements between Iran and Russia, which are taking place concurrently with their uninterrupted strategic cooperation, are a result of their respective ambitions to gain influence and even hegemony in Syria, and due to a differing view of the proper relations with the countries of the region, including Israel. In our assessment, these differences will likely become more accentuated and may even turn public, as the negotiations for a political settlement in Syria progress, in which the fate of President Assad will be decided; In Iran’s view, preserving Assad at the helm in Syria is of utmost importance. It is possible, however, that in a future political scenario, Russia will agree to a deal that will force Assad to relinquish his authorities and possibly even his rule. Iran, on the other hand, sees the survival of Assad’s rule as a guarantee for its ability to preserve its influence in Syria, which Iran perceives as its strategic depth vis-à-vis Israel. The military involvement of the United States in Syria, also poses a challenge to Iran’s efforts to cement its hold in Syria. The strategy dealing with Iran, as presented by the American President Donald Trump in October 2017, reflects a significant departure from the previous American policy. The U.S. president accused the Iranian regime of violating the nuclear accord and supporting terrorism across the world. Trump declared that the U.S. administration intends to cooperate with its allies to impose new sanctions against Iran and act to impede progress in its missile program. President Trump also presented Iran’s regional policy as a major threat to the security of the region and American interests. It has become apparent over recent months that the Trump administration wishes to utilize the nuclear agreement to make gains vis-à-vis Iran on issues that are not covered by the accord, and in particular Iran’s ballistic missile program and Iranian’s subversive policies in the Middle East. The willingness of the European powers to conduct a dialogue on the matter with the United States is intended mainly to prevent the U.S. withdrawal from the nuclear agreement, but this still may increase international pressure on Iran with regards to its conduct in the region. As part of the new American strategy, the United States announced last year that it will not allow Iran to cement its grip on Syria. Although it remains to be seen how the Trump administration intends to implement this policy toward Iran, the announcements of the administration about its intention to maintain an American ground force in Syria is a matter of concern for Tehran. Iran sees great importance in dislodging the United States from the region, since it perceives the U.S. to be a major threat to its national security and vital interests. It is no wonder then, that Iran is troubled by the American intention to continue maintaining an American military force in the region. The announcement of the Pentagon about the U.S. plans to train a 30,000-strong force based on the Syrian Democratic Forces (supported by the U.S.), to operate along the borders with Turkey and Iraq, was met with fierce criticism in Tehran. The Iranian leadership sees the establishment of the force as a plan to install a long-term American military presence in Syria intended to stymie Iranian efforts to increase their influence in the post-Islamic State era in Syria, as well as to prevent the Assad regime from regaining direct control over all of the country’s territory. In response to the Pentagon’s announcement, the Spokesman of the Iranian Ministry of Foreign Affairs, Bahram Qasemi, asserted that the American announcement is blatant meddling in Syria’s internal affairs, which will exacerbate the crisis in the country, increase instability and lead to an intensification of battles raging in the country. He called on the United States to alter its policy in the region, remove its forces from Syria as soon as possible and allow Syrian citizens to decide for themselves their fate and future (yjc.ir, January 16, 2018). At a press conference he held on February 6, 2018, Iranian President Rouhani also expressed opposition to the continuation of American military presence in Syria. He declared that Iran categorically opposes the military presence of the United States in Syria, which is intended to bring about the partition of the region, according to Rouhani (Fars, February 6, 2018). Other Iranian officials have expressed concern about the intention of the U.S. administration to continue maintaining a U.S. military force in Syria. he Adviser on Foreign Affairs to the Supreme Leader, Ali-Akbar Velayati, declared during a conference in Tehran that Iranian forces must remain in Iraq and Syria to prevent Iran’s enemies, led by the United States, from realizing their plan to partition the countries of the region. He denounced the U.S. military presence in the region and stressed Iran’s willingness to assist the Syrian government in combating American forces (Fars, January 22, 2018). In parallel, the Senior Military Adviser to the Supreme Leader, Yahya Rahim Safavi, called to form a regional coalition between Iran, Iraq, Pakistan, Russia and Syria to jointly act against the United States and its allies in the region (Tasnim, January 23, 2018). Turkey’s involvement in the Syrian arena also restricts Iran’s ability to forge Syria as part of its sphere of Influence. The Turkish operation against the Kurdish force (YPG) in Efrin in northern Syria (Operation “Olive Branch”) reflects Turkey’s intentions in Syria. Iran responded with relative restraint to Turkey’s military campaign. The spokesman of the Iranian Ministry of Foreign Affairs called for an immediate cessation of the Turkish offensive (Tasnim, January 22, 2018) and the Iranian chief of staff conducted a phone call with his Turkish counterpart, emphasizing the need to preserve the territorial integrity, independence and sovereignty of Syria (Sepah News, January 21, 2018). The Chairman of the Majlis Committee for Foreign Policy and National Security, Alaeddin Boroujerdi, on the other hand, declared that Turkey’s actions in Efrin are a response to the American effort to partition Syria and establish a Kurdish force that will operate under American patronage in northern Syria (Mehr, January 28). Iran’s restrained response can be explained by the benefits that it sees in the Turkish operation against the Kurdish force in northern Syria, especially in light of the plan of the U.S. administration to maintain a military force in the country’s north-east. Despite this, the Turkish operation provides further indication to Ankara’s intention to play a central role in Syria, even if this entails ignoring Iran’s interests. The commitment of President Assad to Iran also appears to waver. In recent months, a number of reports have been published indicated that the Syrian president is not eager to grant Iran a permanent military foothold or to allow it to increase Iran’s role in his country’s economy, and he prefers Russia over Iran in his effort to regain control over Syria. President Assad realizes that Russia’s ability to guarantee the survival and stability of his regime is significantly greater than Iran’s. 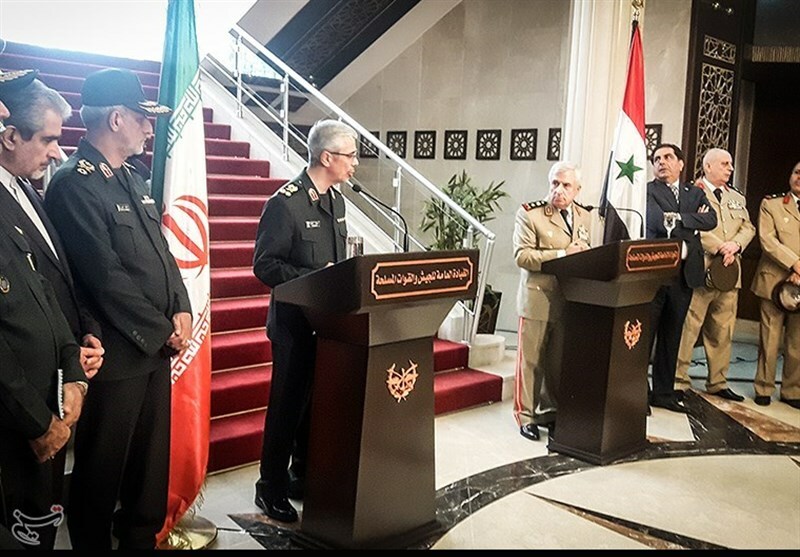 In recent weeks, Israeli sources reported that the visit of the Iranian Chief of Staff, Mohammad Hossein Bagheri, to Syria in October 2017 was unsuccessful and that Damascus refused to respond positively to the list of demands present by Iran. Among the demands were leasing of a naval base for a period of fifty years, establishment of aerial bases and concessions to mine phosphates. Syria did not reject the demands outright, but President Assad is careful not to fully acquiesce to Tehran’s demands, possibly due to fears that such unconditional concessions may result in an escalation vis-à-vis Israel. In the economic sphere, Iran is also struggling in its efforts to increase its clout in Syria. In November 2017, the Vice President of Iran’s Chamber of Commerce, Hossein Selahvarzi, stated that Syria is placing restrictions on the import of goods from Iran. He reported that despite the agreements concluded between the two countries and the billions of dollars in credit Iran granted to the Syrian regime, Damascus is restricting the import of Iranian goods to the country and prefers to import goods from Turkey (ILNA, November 24, 2017). On January 21, the reformist daily “Ghanoon” published a scathing commentary against the Syrian President, Bashar Assad, accusing him of prioritizing Russian firms over Iranian ones in the process of post-war reconstruction. The article argued that despite the enormous investment and high death toll among IRGC fighters in the military campaign in Syria, President Assad is not allowing Iran to promote its economic investments in Syria. The author argued that despite the willingness expressed by senior government officials, chief among them President Rouhani, to help reconstruct Syria following the end of the campaign against the Islamic State, President Assad is ignoring the national economic interests of Iran in Syria and prefers Russia over Iran when it comes to the reconstruction efforts of his country’s economy. An article making a similar argument was published on the Tabanak website on January 17, 2018. The commentary argued that the Russians and Syrians are working to block Iran’s influence in Syria, and that the agreement signed between the Russian and Syrian governments stipulated that the involvement of Iran and Iranian firms in Syria’s economic reconstruction will be contingent on deliberations between Tehran and Moscow. Shortly after the article was published, it was removed from the website, possibly due to an intervention by the Iranian authorities, which wished to avoid harming relations with Moscow and Damascus. In recent years, Iran exploited developments in Iraq to try to secure a hegemonic position in the country. 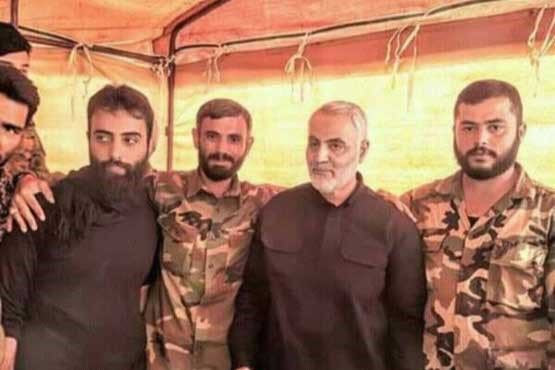 Iran’s direct military involvement in Iraq is extremely limited and largely based on a small number of advisers and support for some of the local Shi’ite militias, which operate under the Popular Mobilization Committees (al-Hashd al-Shaabi). These militias, whose power grew during the campaign against the Islamic State, play an important role in the Iraqi political arena and are already demanding to recognition and accommodation in the new political order in Iraq. In Iraq too, the campaign against the Islamic State concluded with the downfall of the self-proclaimed Caliphate. The failure of the independence referendum in Iraqi Kurdistan, which bolstered the Iraqi state and its territorial integrity, also played into Iran’s hands. Iran was actively involved in efforts to derail the referendum and then undermine its result. However, the renewed stability of the central government in Iraq also poses a major challenge to Iran. Prime Minister Haidar al-Abadi, who was appointed to his position in the summer of 2014 instead of the pro-Iranian Prime Minister Nouri al-Maliki, has also adopted an independent posture vis-à-vis Iran and has expressed displeasure with Iran’s blatant meddling in Iraq, led by the Commander of the IRGC’s Qods Force, Qasem Soleimani. At the heart of al-Abadi’s policy is the desire to prevent Iraq from becoming an “Iranian ,” and ensuring Iraq’s underlying interest to continue receiving American support and to maintain positive relations with the Sunni Arab states, chief among them Saudi-Arabia, Iran’s main regional rival. General elections are set to be held in Iraq on May 2018. These elections will represent a significant political test for al-Abadi’s leadership. Although the outcome of the elections is unknown, it can be estimated at this stage that al-Abadi’s likelihood of forming the next government are quite high. The former Prime Minister, Nouri al-Maliki, who was previously considered to be Iran’s preferred candidate, will struggle to form a government, mainly due to his unpopularity among large swathes of the Iraqi public, which blame him for the defeat in Mosul in the summer of 2014, the collapse of the Iraqi Army when faced with ISIS forces, his sectarian politics, and the entanglement of his government in corruption scandals. The political jockeying ahead of the elections in Iraq has already exposed the limitations of Iran’s influence, and in particularly that of Qasem Soleimani, who failed to forge and agreement between Prime Minister al-Abadi and the Shi’ite militias backed by Iran. In mid-January 2018, Soleimani visited Baghdad and deliberated with the Iraqi prime minister and senior Shi’ite militia commanders. But shortly after the two sides agreed to form a coalition for a joint electoral campaign, the militia leaders announced that they will compete in separate lists. The unraveling of Soleimani’s mission may further undermine his standing, already quite precarious, in the Iraqi political arena. Previously, Arab media outlets reported on a number of altercations between al-Abadi and Soleimani due to the opposition of the Iraqi prime minister to the meddling of the Qods Force in Iraqi politics. The former Prime Minister and Iran’s ally, Nouri al-Maliki, may also feel betrayed by Tehran for shifting its support to al-Abadai. If al-Abadi is able to form the next government and he chooses to continue to pursue an independent stance toward Iran, he could find support for this apprehensive approach regarding Iran’s role in Iraq in his political partner, the cleric and Shi’ite politician, Muqtada al-Sadr. Sadr was previously considered to be Iran’s protégé and he even enjoyed significant support from it, but in recent years, al-Sadr distanced himself from the Iranians and began publicly criticizing Tehran’s involvement in Iraq. The religious establishment led by the senior Shi’ite cleric, Ayatollah Ali Sistani, a well-known opponent of the Guardianship of the Islamic Jurist system implemented in Iran since the Islamic Revolution, is also apprehensive about Iran’s meddling in Iraq’s internal affairs. One of the major challenges faced by al-Abadi following the elections will be continuing the integration of the Shi’ite militias into the Iraqi Army in accordance with the law regulating the status of the militias as a national Iraqi force, part of the armed forces under the control of the General Staff of the Army. The process of subordinating the militias to the Iraqi Army may erode Iranian influence in Iraq, although the ability of central government in Baghdad to enforce its will on them and to coerce them to disarm is in doubt. Iran still enjoys the support of some of the Shi’ite militias. However, the ability of the militias to serve as agents of Iranian influence depends on the results of the elections and the interplay between the various forces in the Iraqi political arena in general and the Shi’ite forces in particular, which adopt different and even contradictory approaches toward Iran’s involvement in the country. Similar to the situation in Syria, in Iraq too, Iran is encountering challenges in its effort to promote its economic clout in the phase following the collapse of the Islamic State. In December 2017, the Head of the Iranian-Iraqi Chamber of Commerce, Yahya al-Eshaq, claimed that Iraq has adopted a discriminatory policy toward Iranian businessmen who wish to export goods to Iraq, while giving preferential treatment to traders from Turkey and Saudi-Arabia (Tasnim, December 6, 2017). Meanwhile, the American military presence in Iraq continues to pose another hinderance to Iran’s efforts to expand its reach. In Iraq too, Iran is vehemently opposed to the American military presence, but Iran’s ability to act effectively against this presence is in doubt, as long as it is maintained with the consent and support of the central government of Baghdad. While developments in the region pose new challenges to Iran, the internal debate in Iran about the necessity of investments beyond its borders is becoming increasingly acute. As part of the protests that erupted across Iran in late December 2017 and early January 2018, Iranian citizens demonstrated against the regime’s policy, which in their view prioritizes huge investments outside of Iran (mainly in Syria, Lebanon and the Palestinian arena), over solving the economic and societal challenges afflicting Iranian citizens. During the protests, chants could be heard against the foreign policy of the Iranian regime (“stop sending money to Syria. Think about us,” “No to Gaza, No to Lebanon, we will sacrifice our lives for Iran,” etc.) and posters of the Supreme Leader and the commander of the Qods Force, Qasem Soleimani, were set on fire. The calls against Iran’s entanglements beyond its border are not new and reflect authentic popular criticism among the Iranian public regarding the heavy financial price Iran has paid for its military involvement in Syria and Iraq, and its continued support for the Syrian regime and terrorist organizations. In recent years, intellectuals and political activists, mostly associated with the reformist movement in Iran, voiced growing criticism of Iran’s continuous support for the Assad regime, Hezbollah and Palestinian organizations. One of the detractors of Iran’s foreign policy, who has gained prominence over the past year, is the political reformist activist Mostafa Tajzadeh who argued that preserving Assad in power has become, in the eyes of the Iranian regime, more important that safeguarding Iranian provinces. The former Mayor of Terhan, Gholam-Hossein Karbaschi, argued in a controversial speech that it is possible to empower Shi’ite communities in the region without transferring money to them, selling weapons and carrying out killings (Tasnim, May 1, 2017). The domestic criticism against Iran’s regional policy does not have a tangible effect on the decision-making process in Tehran regarding this matter. This criticism is unlikely to stymie Iran’s drive to cement its influence in the region, which is perceived by the regime as a vital national interest. It is hard to estimate how widespread is the public support for such critiques among the Iranian public. It should be mentioned that Iran’s activities in the Arab sphere are largely based on proxies, and the number of Iranians killed in Syria and Iraq is decreasing. Iran’s financial investment in supporting the Assad regime and terror organization does take a heavy financial toll (we assess in the sum of several billion dollars per year), but it is relatively small when comparing this cost to the overall Iranian state budget (estimated to be over 200 billion dollars per annum). Although this criticism holds only limited sway over decision-making processes in Tehran, senior Iranian officials are fully cognizant of it. This public opposition may further exacerbate the debate at the highest ranks of the Iranian regime, and in particular, between Supreme Leader Khamenei and President Rouhani, with regards to which national interests should be prioritized. The growing internal criticism in Iran stems in part due to the ongoing economic crisis. Despite some improvement in Iran’s macro-economic situation due to the nuclear agreement and removal of international sanctions, Iran’s economy continues to suffer from significant structural failures and many of Iran’s citizens are yet to reap the benefits of the nuclear accord. The economic growth has not been translated to decrease in the unemployment rate, especially among the educated youth. Most participants in the latest wave of protests were from the working class and lower strata of Iranian society, providing further evidence to the economic and societal hardships facing Iranian citizens. The new budget recently presented by the government for the approval of the parliament (Majlis), which includes a plan to significantly curtail the number of individuals receiving cash subsidies, raise prices and taxes, reflects Iran’s economic challenges as well. Several factors contribute to the sense of economic uncertainty in Iran, including the U.S. policy and the fear of the re-imposition of economic sanctions, after President Trump threatened to not permit the continuation of their suspension. The threats made by the U.S. president are deterring Western firms, which are already hesitant about entering the Iranian market due to its evident failures (corruption, lack of transparency, the weakness of the private sector, and the excessive involvement of the IRGC in the economy). If President Trump decides to re-impose American sanctions against Iran that were lifted following the nuclear accord, and especially if he decides to enforce the secondary sanctions on foreign firms operating in Iran, the economic situation in the country may deteriorate even further.